Stephen White is sometimes thought of as the ‘Forgotten Young Lion’. The Melbourne-based driver only made four starts in the Supercars Championship, his racing career a tale of ‘what could have been’ rather than ‘what did’. He finished second to Craig Lowndes in the 1993 Australian Formula Ford Championship, ventured overseas to race open-wheelers and came back to be part of the original quartet of Holden Young Lions with Todd Kelly, Jason Bargwanna and Mark Noske. White is a driving instructor these days, however, his desire to race at the highest level still burns, as he told Supercars.com in this week’s edition of Saturday Sleuthing. Before we talk about your stop-start Supercars career, what makes up a day in the life of Stephen White these days? I consider myself very lucky. If you can’t drive professionally, which all race drivers want to do, I feel I have the second best world – working with car manufacturers and to be involved in drive days, track days and car launches. If you love people and cars, which I do, then it is the next best thing. How long have you been doing the driver training gigs? I’ve been doing it for about 20 years. As most race drivers do as they are grooming themselves for the future, they like to do track days, it helps to earn a bit of money but it allows time during the week for them to look for sponsors and be involved in the racing industry. I got asked to work for Jim Murcott back in the day at Sandown, and really, it has become more life than racing over the last 10 years. 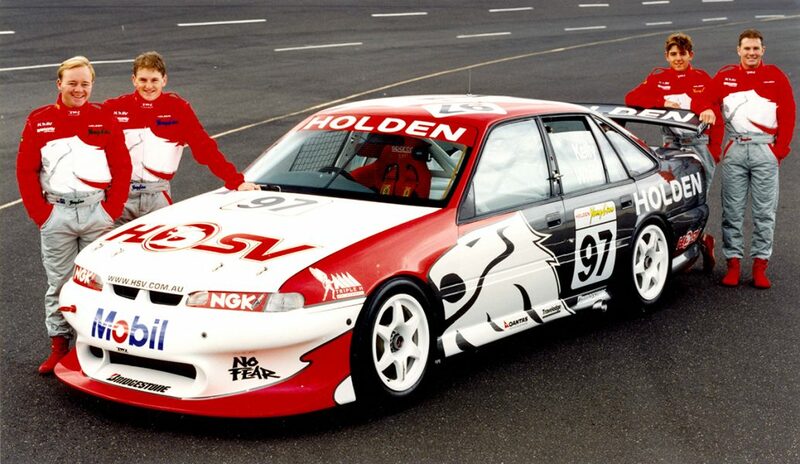 Let’s wind the clock back to 1997 and the start of the Holden Young Lions program. It was a unique opportunity and a highly-desired seat in the industry – and you were lucky enough to grab one. At the time, you were racing overseas, so how did your place in the quartet come about? I was about to sign with Alan Docking to race in British Formula 3. Alan had come back to Australia for Christmas and we had agreed on the drive and I had our sponsors sorted, but when it came to the crunch, our sponsors couldn’t do it. It was about the same time that the Young Lions deal was looking real. I got the phone call from Jeff Grech to come in and have a meeting and I went out to Calder for a test. For starters, just jumping in Peter Brock’s car was an unbelievable honour! I did a dozen laps, got out, the boys said thanks and the next day Jeff called back and asked if I’d like to be the fourth Young Lion in a program to develop young drivers. If I couldn’t be racing overseas, it would have been silly to reject the opportunity to be linked with the best, most professional and resourced Supercars team of the era. It was perfect. 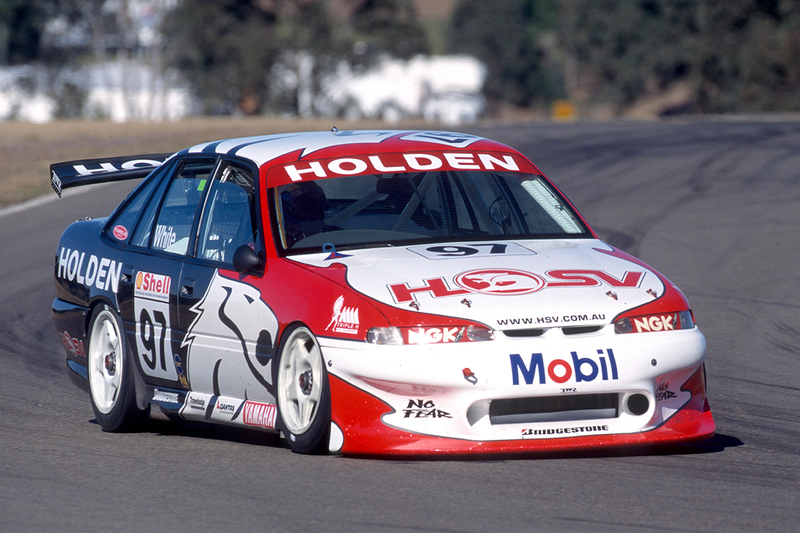 You had two rounds during that 1997 Touring Car Championship – Mallala and Oran Park. Given how little racing you’d done, you ran quite competitively. What are your memories from those races? They were great, and good that the two rounds I got were back-to-back. The team had actually asked me to do the Australian Grand Prix event at the start of the year, but I’d only done about 10 laps in a Supercar prior to that, so I declined that opportunity. I wanted to understand the car and the team more. We finished around the top 10 at Mallala (12th overall for the round) and at Oran Park we had a great weekend until the first lap of the last race. Larry [Perkins] and I were side-by-side coming up to the bridge. We had a touch and bent a steering arm and that was the end of the weekend. I was running in fifth place at the time, so that could have been something great too. It was just great to be involved in the Young Lions. To have that opportunity was something I’m really proud of; I know that not many people get to be part of things like that. From there you headed back overseas to have one last crack at the open-wheel world, but did you try and keep a seat in Supercars after the 1997 Young Lions season? We had some good chats with Jeff Grech at the time. 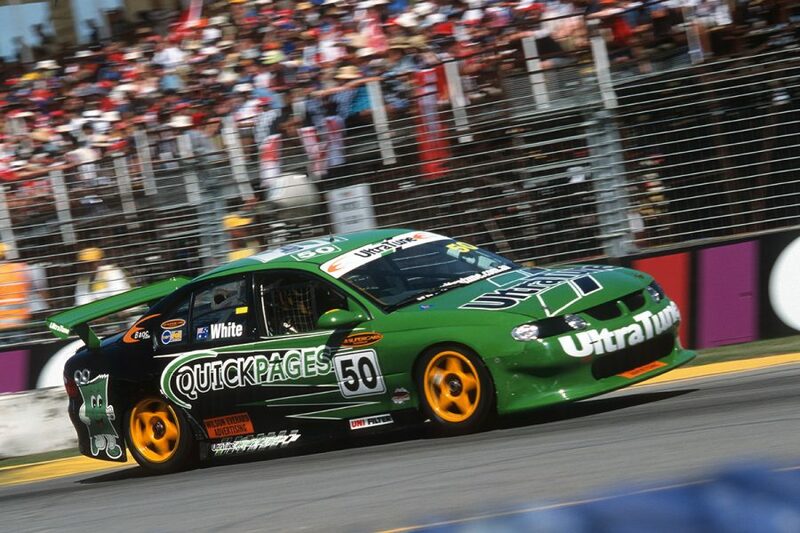 He wasn’t sure what Craig [Lowndes] was doing, Mark Skaife had come onto the scene as well, and with Greg Murphy also hanging around, there was just too many drivers and not enough seats. I had one last overseas chance to have a shot at my dream of Formula 1, and there was a new category that had just started up – Formula Palmer Audi – so we gave it a shot. We reached a point where we almost had a deal signed for Formula 3000 with Nordic, which was a top-running team of the time, but when it came time to sign contracts, the sponsor didn’t pay the money. 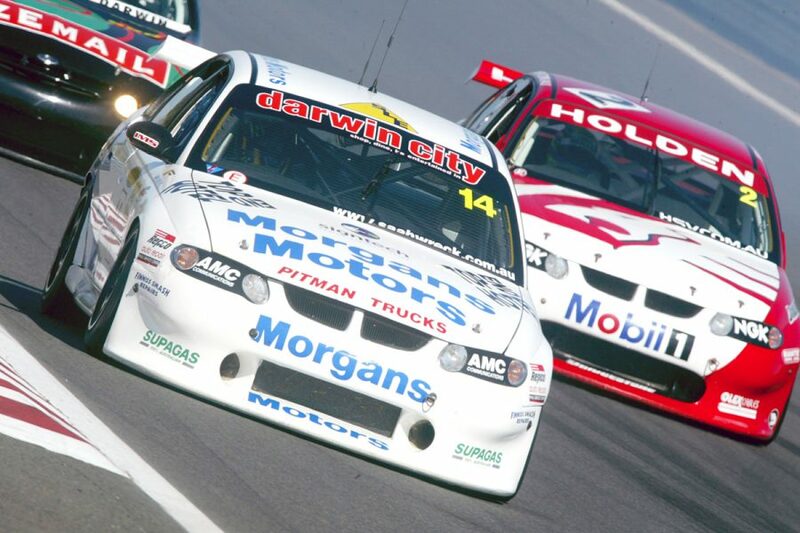 It wasn’t until 2002 before you returned to Supercars, at the Clipsal 500 and Darwin. These were in non-factory, privateer entries. What are your memories there? 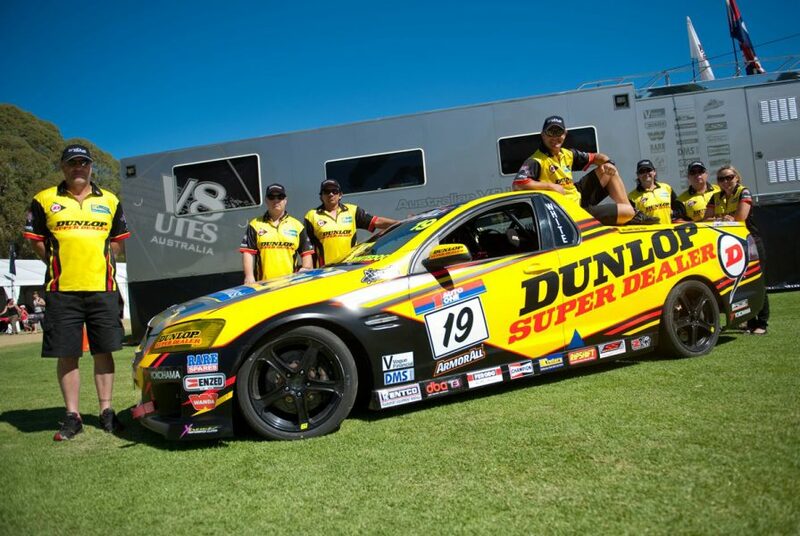 I drove the Ultra Tune car at the Clipsal 500 for the start of the year, and we were going to look at the remainder of the year. We did OK, we finished 17th in the first race (in a field of 36), but Cameron McConville and I decided it was going to be better to watch from the sidelines rather than finish the race (in Race 2)! That was a shame, because Ultra Tune had been in the sport for a few years but hadn’t really got any decent results. A true 17th at the Clipsal 500 was a really good result for them, but they just couldn’t continue. Mike Imrie, well known in the sport for promoting and helping young drivers, gave me a chance to drive at Darwin and we had an interesting weekend. It was good to be a part of it, but we just weren’t in a position to be a part of it. I did one-off racing from there in various categories, including a Development Series round at Winton in 2004, plus V8 Utes, Touring Car Masters and other stuff. So have you hung up the helmet? Or is there still some fire to keep the dream alive? It’s never over. I know age is spoken about, but you can’t beat experience, providing you can jump in the car and produce the speed that the team needs. So I’m definitely not giving up – it might not be in Supercars, but to do more GT racing or even the Bathurst 12 Hour, that would be something I feel I’m ready for and would really enjoy. Finally, Craig Lowndes has just announced his retirement from full-time racing. You went toe-to-toe with him for the 1993 Australian Formula Ford Championship. What are your memories of your battles with the guy who would go on to be the most recognised face in local motorsport? It’s interesting because we grew up in go-karts, racing against each other. And there’s always that bit of aggression and tension, but we got along quite well until we realised that we were going to be fighting for that Formula Ford title. At the end of the day, the best guy won. It was down to the guy who made the least amount of mistakes, and I made an error that cost me the title. Does that haunt me? Well, it’s just what it is. If you look at Craig today, he is just the most complete driver of all time. It will be interesting to see what happens with young driver’s development after he is no longer racing. Craig had that personal, one-on-one training with Peter Brock – you can’t buy that – so it will be interesting to see how Craig can mentor someone else because I think he will be extremely good at that.